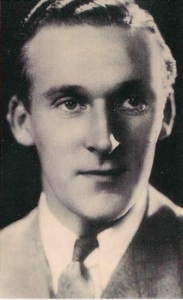 Denny had received offers from other bands for him to join them, including Joe Loss, But Denny opted for the Ambrose Orchestra, where Denny was to stay until June 1939. However, Denny also made another dozen recordings with Ambrose between 1941 and 1943. The period with Ambrose was fruitful. Another resident vocalist, Vera Lynn, joined Denny and the couple recorded a lovely duet, ‘Two Sleepy People’. Denny also made a particularly delightful recording of ‘South Of The Border’’ with Ambrose, which he was also to re-record as a solo recording soon after. This popular number was a good showcase for Denny, who was at ease on high and low registers. The recording was a hit, and it showed just how far Denny had matured as a vocalist. The recording also gained interest in the States, and the Band of Paul Whiteman showed interest in the talented English vocalist. If ever the time was right to set out upon a solo career, this was it. Denny was by now well known and he was riding high in the popularity polls. He had plenty of known recordings and he was regularly featured on radio broadcasts and shows. Denny decided to leave Ambrose, and he went solo with the Decca ‘Rex’ label.